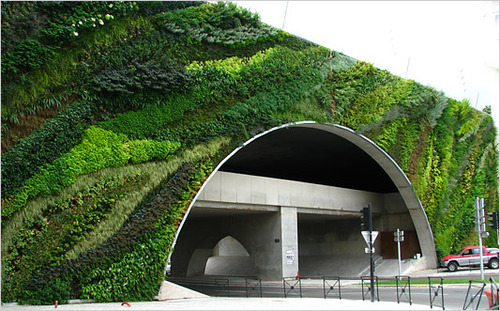 This Vertical Garden is located in Pont Juvenal, Aix-en-Provence. This just shows that it is possible to green our existing infrastructure in two senses of the word. Adding vegetation like this both enhances the aesthetic of the monotonous highway commute and all those little plants can make a small dent in counteracting the greenhouse gas emissions released from thousands of passing automobiles.